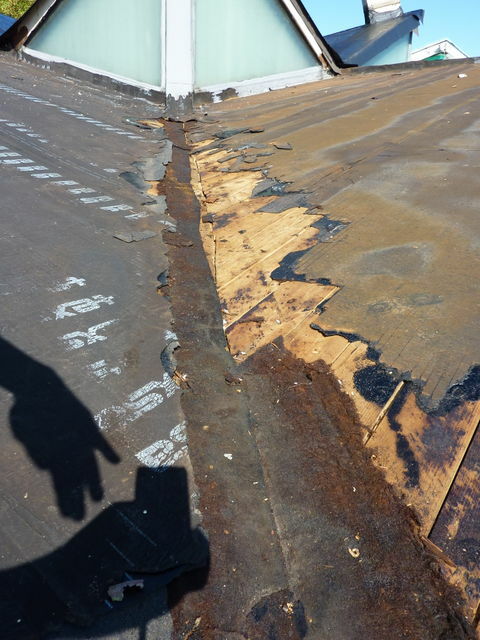 The catalyst for Project Grow was the repeated theft of copper from its roof in 2010-11, which resulted in the 'temporary' application of a two layer roofing felt to make the roof watertight. However, further inspection of the roof and spire brought the news that the structure itself was in need of major repair. “The records indicate that the churchwardens have been diligent in seeking to identify and carry out maintenance and improvement works to the church... but the theft of the copper roofing on eight occasions has had a significant impact on maintenance of the building and deterioration of the fabric. kitchen and toilets need to be improved, particularly to allow concurrent use when the Playgroup is present. St Richard's is clearly a building in significant need of refurbishment. For these reasons, the initial challenge to raise around £150,000 simply to put a new roof on an old building is not enough. There is a far greater need to make the building safe, sustainable and fit for use as a worship and meeting space and community resource. That's how Project Grow was born - a visionary plan to build for the future of St Richard's and the future of Hanworth. and expand provision in every area of the church and community's use of the building. Foyer: a multi-use, glass fronted foyer providing a quality welcome, information point, café space, toilets and storage. Meeting rooms: three new rooms providing space for courses, seminars, children and youth groups and external groups' use (the largest two can be partitioned or opened into one large space). These first-floor rooms will be served by a disabled lift and have access to a disabled toilet. A small coffee lounge provides the link between these rooms. Enlarged worship space: By extending into current offices, the enhanced worship and meeting space will have a seating capacity of over 150, with the possibility of opening screens to extend into one or two halls (providing a total seating capacity of up 400). This space will enhance the sanctity of worship but also provide an unmatched resource for the community (for example, in hosting musical concerts or large meetings). These spaces have been carefully planned to preserve the best of existing features of our building, like the St Richard stained glass window (pictured below), while creating space for growth and enhancing our external visibility and welcome.